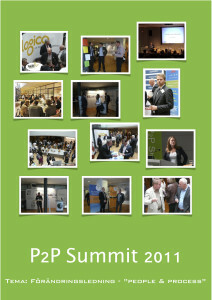 In March 2012 we will see the second P2P Summit in Sweden, an event that will run once every year in the spring. Following P2P Summit in September 2011 it was obvious that the urge to lower administration costs in both procurement and finance processes is still huge. EBG will not rest until the discussion between finance and procurement is in the open and we will continue looking at both e-invoicing and spend management from an opposite angle – including the suppliers in the discussion.